There are a lot of "what ifs" in the movie business. There are so many options when it comes to casting actors to play characters in movies. Superhero films are huge right now, and I love most of the actors that studios have cast to play these badass characters. Christian Bale as Batman, Andrew Garfield aa Spider-Man, Henry Cavill as Superman, Hugh Jackman as Wolverine, and Robert Downey Jr. as Iron Man are just a few of many. But these characters could have easily been played by other actors. It's hard to imagine that now since we're already invested in what's in front of our eyes. I've come up with a list of actors who almost played some of these superheroes. You may already know about some of the close calls on the list, you may not, but when I was researching for this article there were a few things I didn't know before, so I hope that there's at least one bit of new information for you. I didn't include Nicolas Cage's Superman or Russell Crowe's Wolverine because those just seem like common knowledge by now. Movie geeks talk about them a lot. I had to mention them here so I don't get yelled at, though. I'm sure I may have missed a couple others, but here you go! Marvel originally wanted Tom Cruise to play Tony Stark in Iron Man. They were in talks with him on and off for awhile, but Cruise eventually lost interest in the film and walked away. He just didn't feel like a project he could commit himself 100%. It all worked out in the end when Jon Favreau cast Robert Downey Jr., who turned out to be the best Tony Stark Marvel could get. Favreau also looked at casting Clive Owen and Sam Rockwell in the role. This was a shocker for me. I had no idea that Warner Bros. wanted Bill Murray to play the Dark Knight. Before the studio brought in Tim Burton to direct the movie, they were looking at making it a campy film much like the 1960s TV series… "Kapow!" Luckily, when Burton came on board he steered the story and production in the right direction and gave us an incredible film. Other actors up for Burton's vision of Batman included Mel Gibson and Alec Baldwin. Yeah, what?! Edward Furlong as Peter Parker? That's a hard one to swallow, but it could have happened. This was when James Cameron was developing it in the mid-90s. Cameron also wanted Arnold Schwarzenegger as Doctor Octopus, which would have reunited the two Terminator 2 actors. Cameron eventually left the project after the production company, Carolco, went out of business. After American History X, Furlongs's career faded into obscurity. 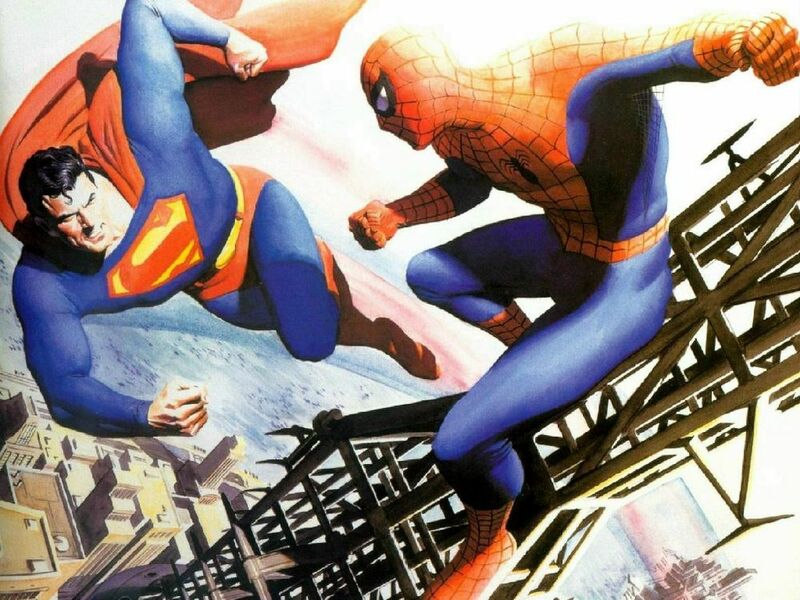 After Cameron left his Spider-Man production, the rights to the character landed at Sony Pictures. This was in 1999, and the studio wanted to get Leonardo DiCaprio, who was still riding high on his Titanic success. Other early contenders for the role included Freddie Prinze Jr. and Jude Law. The studio was working off of Cameron's script treatment, and the only thing to survive all of the re-writes was Spidey's organic web-shooters. 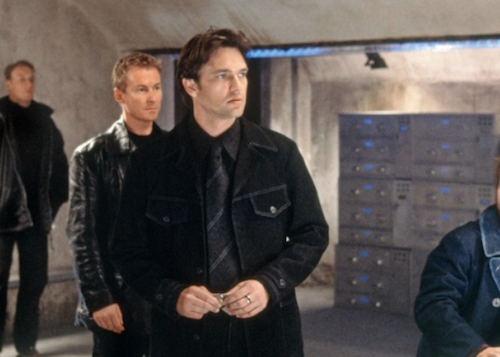 After Sam Raimi was brought on board he tested Scott Speedman, Jay Rodan, and James Franco for the lead. In the end the director went with DiCaprio's longtime friend Tobey Maguire. The studio had reservations about the actor, especially after Wonder Boys was released in which he was seen in bed with the future Tony Stark. Before James Marsden was cast as Cyclops in Bryan Singer's X-Men, the role was originally offered to Jim Caviezel. Caviezel beat out a long list of actors who auditioned for the role such as Thomas Jane, Johnny Lee Miller, Eric Mabius, Owen Wilson, Edward Burns, Edward Norton, and Jude Law. Unfortunately, the actor was forced to drop out of the project due to his commitment to the film Frequency. Marsden stepped into the role, and Caviezel went on to play another superhero… Jesus. Because of that, Singer ended up disqualifying him for the role of Superman in Superman Returns. I guess he didn't want Jesus playing Superman. Producer Jon Peters wanted Will Smith to play the Man of Steel in the Kevin Smith-scripted movie. That script included a black superman suit and a giant spider for Superman to fight. He did approach the actor about taking on the role, but the movie fell apart. Years later Bryan Singer flirted with the idea of bringing Smith on board. He offered Smith the role and sent him the script, but the actor turned it down. Smith went on to star in Peters' Wild Wild West, which also included a giant spider. As you can see there are a lot of actors who could have played Superman, but the strangest one for me to think about is Sylvester Stallone. It crazy to imagine Richard Donner's Superman: The Movie without Christopher Reeves. He was the perfect Superman, and it would have been a travesty if Stallone had gotten the part instead of him. After Rocky blew up he was a hot ticket, and he wanted the part badly. It could have been his if Marlon Brando wanted him to play his son in the film. Early in production Warren Beatty, Robert Redford, and Burt Reynolds were also being considered. They even met with Jon Voight and Neil Diamond. Dougray Scott may not sound familiar to you, and that's because he wasn't cast as Wolverine in Bryan Singer's X-Men film. Had he been cast then you might be a big fan, and he might have had Huge Jackman's career. The actor supposedly landed the role but was forced to drop out shortly after filming started. Why? Because it conflicted with another flick he was shooting… Mission: Impossible II. That's a shame. Before Joel Schumacher took over the Batman franchise, Tim Burton was working on a third movie, and Marlon Wayans had officially signed on as Robin. He had even done costume testing for the movie. When Schmacher took over the directing duties for the movie he ditched most of Burton's work and ideas, and Wayans was dropped and replaced by Chris O'Donnell. Don't feel sorry for Wayans, though. The actor's contract was paid in full by Warner Bros., and he didn't have to humiliate himself. When it comes to Christopher Nolan's Batman Begins, Gyllenhaal was writer David Goyer's first choice to play the caped crusader. He was one of eight actors on a list that included Joshua Jackson, Eion Bailey, Billy Crudup, Cillian Murphy, Henry Cavill, Hugh Dancy, and Christian Bale. Of course, Bale landed the role with his deep, dark, raspy voice, and he was amazing. Later Gyllenhall was up for the part of Harvey Dent, a.k.a. Two-Face, but that didn't work out for him either. It worked out for his sister Maggie, though, who was cast as Rachel. As much as I love Scarlett Johansson, I would have loved to see Blunt as Black Widow, especially after seeing her in Edge of Tomorrow. She literally had the role in Iron Man 2, but due to contractual obligations with Fox, she had to drop out and instead co-star in the gloriously bad Gulliver's Travels with Jack Black. He was offered $100 million to star in a Superman trilogy, but turned it down. McG, Wolfgang Petersen, and Brett Ratner were all at one point attached to direct the film he would be in. The script for that film included Clark Kent being best man at Bruce Wayne’s wedding before they started fighting each other. That idea was scrapped when J.J. Abrams brought Superman: Flyby to the table. He impressed producers so much that he was on the top of the list of actors to take on the role of Steve Rogers. He beat out actors such as Channing Tatum, Ryan Phillippe, Mike Vogel, and Garrett Hedlund. Then from out of no where Chris Evans jumped into the role without even having to audition. Evans turned out to be perfect. I can see why they wanted Krasinski, though. Nicolas Cage Almost Played Sweet Tooth in a Film Adaptation of The Game TWISTED METAL!